No garden should be without a few Nandina plants, and Nandina Twilight (Nandina domestica 'Twilight') is definitely a standout in the Nandina family. You might know nandinas from their more common name - Heavenly Bamboo. This is a bit of a misnomer as these plants aren't really bamboo, but relatives of berberis plants. They are cold hardy and evergreen year round (though they are so much more than 'green'!). Typically they are known for their deep green leaves that change to fiery reds and golds as new growth emerges. Nandina Twilight bucks this trend and adds a fine elegance to your garden with light green leaves mottled with ice-white. The new growth is a beautiful bronze and the interplay between the two colors is striking. The colors intensify in the winter, and as icing on the cake, the plants get a sultry pink glow in the spring. 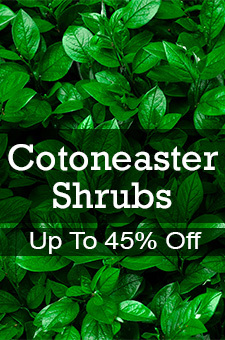 These are bushy, but erect plants that shine in the border or patio containers. Plant them in masses for a beautiful effect. The light color mixes well with almost everything in your garden border. They fit into so many landscape styles we're sure they will look great in your garden, too.  Nature Hills only sells strong, healthy, field-grown plants so you won't be disappointed. Order your Nandina Twilight today and enjoy them for many years to come.